Well my DRZ isn't still there no. I took it home and put it in my garage as you might expect. Ohh, sorry to disapoint you mate but its moved. I've owned it for over six years, trail ridden all over the country, raced it (well, participated in an Enduro anyway ) and even razzed it round a MX track with no real problems. Yes it's a bit heavier than some more modern (and vastly more exotic/fragile/expensive) bikes but its virtually bomb proof, reasonably nice on the road, more than enough performance on any trail I've ever ridden and maintenance consists of adjusting the chain occasionally and changing the oil and filter when the mood takes me. It is also almost unbelievably economical. I did 100 miles of mixed road and trail last week on 6.6 litres of petrol and I still had about 3 litres in the tank. I know some people who's hot poop enduro weapons wont do 50 miles on a tank full. So what do I think? I think that as a do it all trail bike for the sort of rider who's more interested in practicality than being flash DRZs are almost impossible to beat. Which is why I still have it. 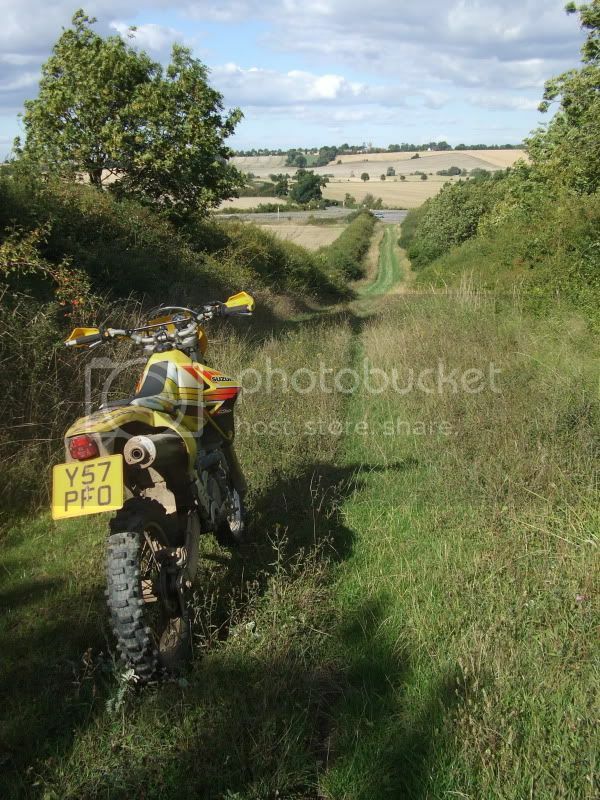 hi mike that fern bit you are on about has been cut by the farmer its a nice wide track now mate regards steve.